Without a doubt, rightsizing is an approach desired especially by people who still remember the good old days when the car was meant to serve the driver for several years or longer. But is there room for rightsizing on the modern market? To answer this question, we must first understand what downsizing is. In traditional drive units, more power was generated by increasing the engine capacity. Old engines made by American producers, with a capacity of 6 or 8 litres, which generated the power of 150 to 200 HP, are a good example. These engines ensured good performance and durability but high fuel consumption was their major disadvantage. While such consumption was acceptable for Americans accustomed to cheap fuel, low combustion became an increasingly important parameter of the engines on the European market. 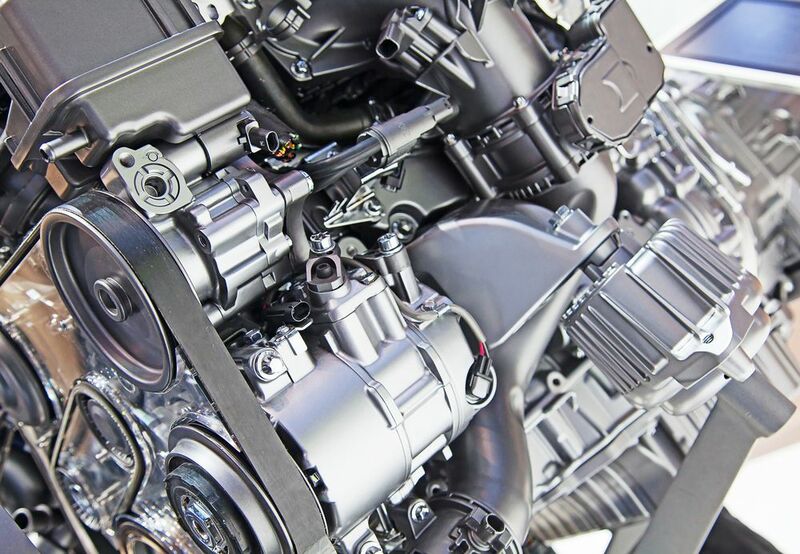 As a result, the automotive industry would reduce the capacity of the drive units and neutralize the resulting loss of torque by equipping the engines with turbocharging or direct injection of fuel. This trend is constantly progressing and drive units are being downsized further and further with each new generation, while the same power is maintained. This applies to most brands. Audi A4 B5 had a traditional 2.5 TDI engine with a capacity of 150 hp but Audi A4 B7 has a 2.0 TDI engine of 170 hp. Ford Mondeo III 2.0 Duratec was powered by a 2-litre unit with a capacity of 145 hp but Ford Mondeo IV 1.5 EcoBoost boasted a 1499 cc engine of 160 hp. These changes also apply to luxury cars. Ferrari Testarossa had a 5-litre engine of 390 hp, yet Ferrari 488 GTB had a 3.9-litre unit of 661 hp! So if the engineers were able to combine a smaller capacity with better performance, what’s the problem here? Not all the drive units built as the embodiment of the beautiful idea of downsizing have passed the exam. Volkswagen users hated the TSI engines, which had to be repaired when the mileage reached approx. 40,000 km. The 2.0 TDI diesel engines of the same manufacturer also worked poorly. The 1.6 THP engine, produced jointly by the French and Germans, wasn’t successful either. To this day, the unsuccessful 1.5 dCi engine is a stain on the reputation of the French automotive industry. Faults were also common in vehicles featuring the downsized drive units; the costly components connected with them, such as turbochargers, dual-mass wheels or injection systems, were very prone to malfunction. Customers would ignore the savings made due to the reduced fuel consumption and criticised the expensive repairs. This doesn’t mean that every engine built in accordance with the idea of downsizing is bad, of course. The diesel 1.6 HDI made by PSA is an excellent example of a virtually trouble-free driving unit. Customers have also praised the Italian Diesel 1.3 MultiJet and Opel’s 1.4 Turbo. The failure frequency of some engines is not the only disadvantage of downsizing, though. Manufacturers of engines built in accordance with the downsizing philosophy openly admit that they won’t survive many hundreds of thousands of kilometres of travel without repair. For example, Ford declares that its three-cylinder EcoBoost petrol engines with a capacity of one litre should function without failure for 240,000 km. This is not a problem for customers buying a new car every 5 years. However, if someone is “old fashioned” when it comes to buying a car and wants to have one for many years, such a declaration is unacceptable. Observing the increasingly frequent problems with downsized drive units, vehicle manufacturers began to wonder if this was the right way to go. This is how a trend called “rightsizing” was born. Rightsizing means that the cars are fitted with an engine adapted to the size of the vehicle. This philosophy is based on the assumption that if the customer has the means to buy a top class vehicle, you can offer them a more durable engine, less prone to malfunction, but at the expense of a slightly higher fuel consumption. Engineers have also begun to look for other ways to reduce fuel consumption, apart from reducing the engine capacity. This is why Audi has developed its interest in rightsizing. You can buy an Audi A4 with the 2.0 TFSI ultra engine, built in accordance with this philosophy. Interestingly, despite the high power (190 hp), engineers have managed to achieve the average fuel consumption of 4.8 litres per 100 km. This was possible thanks to the use of the Miller cycle. Rightsizing was also announced by Mazda as its basic philosophy of engine construction, which has drawn the attention of the entire automotive industry. As a result, we can buy a Mazda 6 with the 2.0 SKYACTIV-G engine, without a turbocharger, with 145 hp and average fuel consumption of 5.5 litres per 100 km. Despite the growing popularity of rightsizing, it’s unlikely that it will replace downsizing, especially that the ways people acquire new cars are changing. For example, leasing is gaining popularity, and some even predict that in the next few decades many people will stop owning cars but will rent them instead, just like they do with bikes in the city bike rental systems. Even if these predictions turn out to be wrong, we will certainly keep changing cars more often than our parents or grandparents did. In most cases, we’ll have nothing against downsizing because we simply won’t be affected by its flaws. If anything, they will be of concern to the people who’ll buy the used vehicle from us. However, there’s no doubt rightsizing will find its enthusiasts, especially among wealthy customers. It’s hard to expect that the automotive industry will ignore the needs of its most desirable customers. It is therefore very likely that rightsizing will stay in the automotive industry permanently, not at the expense of downsizing, but through coexistence.